Chester R. Bender was born on 19 March 1914 in Burnsville, WV, to John I. and Inez Harbert Bender. In 1925 he and his family moved to Plant City, Fl. In 1936, he became the first Florida resident to graduate from the U.S. Coast Guard Academy in New London, CT. During his time at the Academy, he served on the boxing squad and as humor editor of the Academy yearbook. He served as gun captain during his senior year. Upon graduation from the Academy, he was commissioned as an Ensign, and was assigned as a line officer on the Coast Guard cutters USCGC Mendota and USCGC Bibb (WPG-31), on patrol in the Atlantic Ocean. In 1938, he was transferred to the USCGC Ossipee (WPR-50), on duty in the Great Lakes region. That same year, he was selected for flight training and reported for duty at Naval Air Station Pensacola, FL. A year later, he earned his aviator wings and was assigned to Coast Guard Air Station Elizabeth City, NC. During World War II, the Coast Guard was under the authority of the U.S. Navy and he flew anti-submarine patrols out of Elizabeth City. From June 1943 to December 1944, he commanded an air-rescue squadron based out of San Diego, CA. During the last few months of the war, he served as air-sea rescue advisor and liaison officer for the Far East Air Force Headquarters, based in the Philippines, earning the Bronze Star for this service. In December, 1945, he was assigned to Coast Guard headquarters as Executive Officer of the Air-Sea Rescue Agency. From 1946-50, he served as personal aide and pilot to Commandant Joseph F. Farley. From 1950-53, he served as Executive Officer of the Coast Guard Air Station St. Petersburg, FL, and in 1953 assumed command of the Coast Guard Air Station Traverse City, MI. In 1955, he returned to Coast Guard headquarters, assuming command of the War Plans Division. Three years later, in 1958, he was promoted to Captain and given command of the Coast Guard Air Station Barbers Point, HI. After two decades of aviation duty, in 1959 he assumed command of the USCGC Bering Strait (WAVP-382), based out of Honolulu, HI. 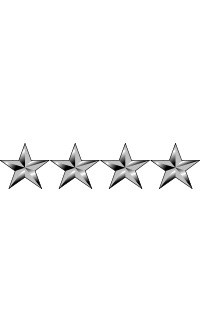 From 1961-64, he served as Mobilization and Readiness Officer for the San Francisco, CA-based Western Area Command. From 1964-65, he served as Commander of the Cleveland, OH-based 9th Coast Guard District. From 1965-67, he served as Superintendent of the U.S. Coast Guard Academy. During his tenure, he established the U.S. Coast Guard Museum in order to preserve and display artifacts from early Coast Guard history. From 1967-70, he served as Commander of the San Francisco-based 12th Coast Guard District, where he was responsible for all Coast Guard operations in the Pacific Ocean, Northern California, and most of Nevada and Utah. On 16 April 1970, he was nominated by President Richard Nixon to replace Admiral Willard J. Smith as the 14th Commandant of the Coast Guard. Following Senate confirmation, he took office on 1 June 1970. During his tenure (1970-74), he implemented the distinctive "Bender Blues" uniforms, designed to distinguish the Coast Guard from the Navy. In 1972, he was awarded the Coast Guard Distinguished Service Medal. As Commandant, Bender was known for his support of environmental protection and was recognized for his management of Coast Guard programs relating to new environmental responsibilities. In 1973, he served as delegate and alternate chairman of the U.S. Delegation to the Marine Pollution Conference of IMCO in 1973. He retired from the Coast Guard in 1974. After retiring he and his family moved to Moraga, CA. Bender married Annamarie Ransom of Sault Sainte Marie, MI, on 1 September 1939. Their marriage lasted until her death in 1992. They had one son, Mark A. Bender. 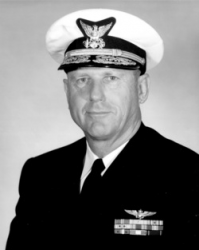 Admiral Chester R. Bender died on 20 July 1996 in Moraga, CA, after a long illness. He is buried at Arlington National Cemetery in Arlington, VA, with his wife, Annamarie.